Having been a fan of eMergent Publishing’s first anthology of linked stories, The Red Book, it was a great pleasure to be asked to contribute to this second collection. Working closely with the other writers to interweave the various narrative threads made for a unique creative experience. 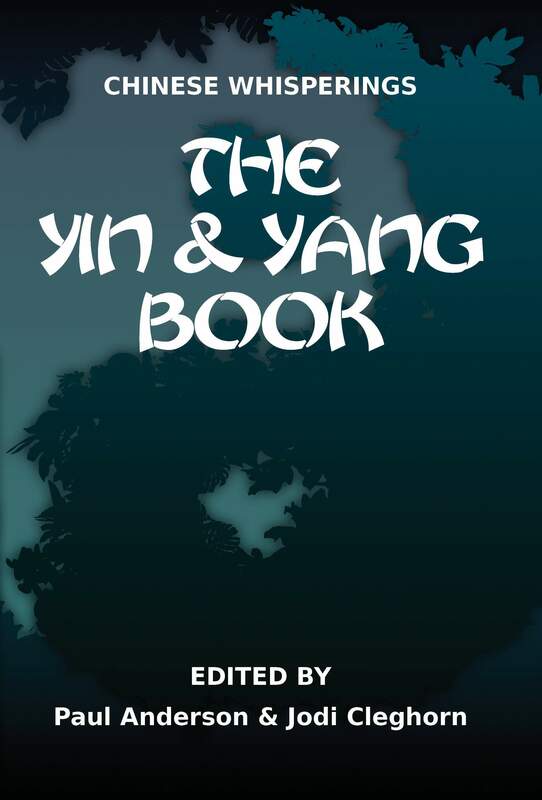 The print edition of The Yin & Yang Book includes my story This Be The Verse and is available to buy direct from eMergent Publishing. A Kindle version is also available from you know where. The Literary Mix Tapes collections are the brainchild of Editor, Jodi Cleghorn, born out of her fondness for the iconic Eighties mix-tape. 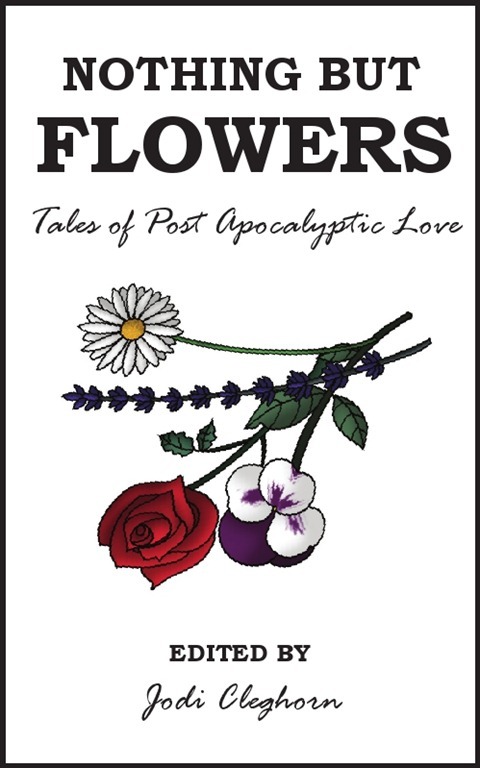 Nothing But Flowers, a collection of post-apocalyptic love stories by emerging writers, all inspired by the classic Talking Heads track, contains twenty-six unique explorations of the kind of love that blossoms at the end of the world. ‘In a devastated world, a voice calls out through the darkness of space, a young woman embraces Darwin, a man lays flowers in a shattered doorway, a two-dimensional wedding feast awaits guests, a Dodge Challenger roars down the deserted highway.The collection runs the full gamut of post apocalyptic life, both on terra firma and in space. Characters are forced to face the spectre of illness, floods, earthquakes, viruses, wars, disappearing animals, the fear of the open road and the oppression of fundamentalist governments in stories that explore the way people love and allow themselves to be loved even in the darkest of times and the bleakest of circumstances.’ – Jodi Cleghorn, editor. My story, Driver & The Beautiful Highway, is a love story between a man and a stretch of road that, after years of marking the boundary of his miserable life, becomes his means of escape. It is currently in the process of being adapted into a short independent film. Available as a print copy from eMergent Publishing’s online store or as a Kindle ebook. Back cover copy: Deck The Halls traverses the joy and jeopardy of the festive season, from Yule to Mōdraniht, Summer Solstice to Years’ End. The stories journey through consternations and celebrations, past, present and future. Along the way you’ll meet troll hunters, consumer dissidents, corset-bound adventurers, a joint-toking spirit, big-hearted gangbangers, an outcast hybrid spaceship, petrol-toting politicians, mythical swingers and a boy who unwittingly controls the weather. Heart-warming and horrifying, the collection is a merry measure of cross-genre, short fiction subverting traditional notions of the holiday season. 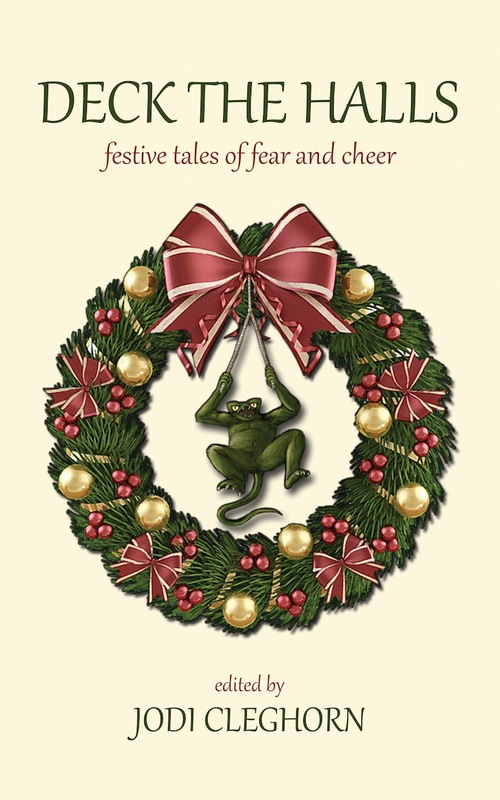 A paperback edition was released for the 2012 festive season, along with a new expanded ebook edition, and includes a handful of new stories. Available from eMergent Publishing’s online store in print edition and ebook format or as a Kindle ebook from you know where.